Need to have audio files conversion program? Magic OGG to MP3 Converter is the tool which has been created by Magic Video. Detailed below are some of its many features. Conversion: As mentioned above, the software is used to convert audio files of OGG format. The process is easy for the user has just to import the file, choose the output format and the destination folder and it does the rest. 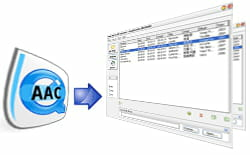 Output format: Magic OGG to MP3 Converter enables the user to convert his OGG file into various types of output formats for it to be compatible with any media player. Among the most used are MP3, WMA and WAV. Supported format: It is evident that the format which the program supports is OGG Vorbis. But it is important to remind that there are many types such as OGG, OGA, and others like SPX or FLAC which are also supported. Magic OGG to MP3 Converter is also capable of converting multiple files at the same time. It has a simple and intuitive interface which makes it easy to handle. Latest update on August 21, 2015 at 11:43 AM.